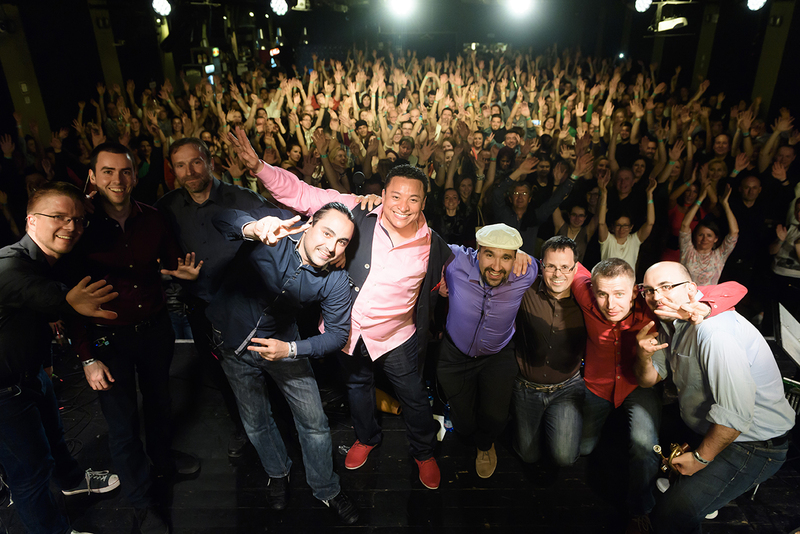 Formed in 2008, Barrio Latino is the first Timba orchestra in Hungary. The bands’ music was recognized by Grammy award winning sound engineer Michael Lazarus, and, as a consequence of this collaboration, Barrio Latino’s debut single "Con Clave Y Tambó" has been released on the USA-based record label Latin Pulse Music. Since then, the song has beed played by radios and salsa DJs in more than 50 countries all around the world. The song "Con Clave Y Tambó" was finalists in the International Songwriting Competition in 2015, where they chose only a few of the best from 18.000 participants. Even one of the famous hotel in Havana, Cuba (called Capri) used the band’s music in their promotional video. Barrio Latino usually plays at festivals (Austria, Hungary, Slovakia, Serbia) but they organized their first own concert on the 14th of December 2015, where they sold more than 500 tickets on a Monday night in Budapest.